Obesity and our Children; Why is my Young Lad Fat? Very often it is considered not politically correct to say that a child is fat. Maybe we are doing them a disservice by failing to identify them as overweight and putting measures in place to address this health issue. Besides, the fact that they might be overweight is hardly their fault – more a byproduct of what they are given by their parents to eat. The kids don’t know any different but the parents should. We are now looking at a situation in the Western world where obesity is becoming an epidemic. Reports suggest that over 35% of people in the USA (National Health and Examination Survey (NHANES)) in 2010. Reports also suggested that about 25% of people in Britain (NHS 2008) and Ireland (OECD 2010) are reported to be obese with growth estimated at about 1% per annum. This suggests a drastic rise in obesity from 1993 when just 13 per cent of men and 16 per cent of women reported to be obese. The importance of sport and physical activity is emphasised by Twisk et al (1997) who found that long-term exposure to daily physical activity was inversely related to body fatness. If the growth rate continues at the present pace, over 50% of people in these countries will be obese by 2050 with significant cost to the exchequer in respective countries through their health bill. Scarily, huge volumes of 4-5 year old children (24.5%) in Britain (NHS) reported to be obese in 2008. This does not account for the massive population of children that are overweight, not yet obese but will be by the time they reach adulthood. Bearing this in mind, physical activity, sport and exercise is going to be ever more important going forward, not just for the enjoyment value but the state of the nations health. Therefore, the importance of the sports coach and the role that they play will be infinitely more important. The child’s experience in sport is critical for the ongoing development of any athlete. However due to various reasons including increased pressure to succeed, children’s sport is often now a negative experience due to pressure placed by coaches to win. According to recent studies, 45% of ten year old boys participate in sports. By the age of eighteen only 26% of them stay active. An overview of youth sports carried out in America showed that dropout is well under way at age ten and peaks at 14-15. This was found across a range of ten different sports. Presently, there is a huge drop out from sport among adolescents. In all sports, almost half as many 16 – 24 year old women take part in sport as men of the same age while only 15% of girls aged 15 in the UK meet recommended daily physical activity levels, and are contributing hugely to the high levels of obesity among our youth.This contrasts strongly with Australia, who who have a huge emphasis in youth sport for the health of their nation. In Fact, just recently (Summer 2014), a government minister came out strongly in an address to the nation that the problem of physical inactivity in youth sport among 16 year old girls is getting to dangerous levels as recent metrics showed that participation rates had dipped below 60% – the first time below 60% since metrics were taken. So they are the facts but are there other contributory reasons for the obesity epidemic? These may be generalisations in certain cases, many of these societal and socio-economic reasons will ring true for many people. 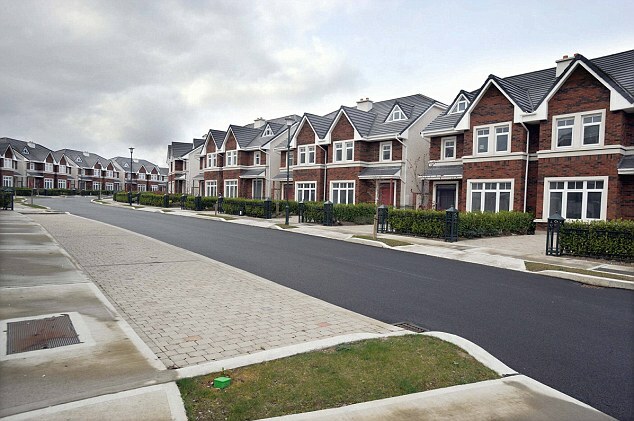 Through the noughties in Ireland, there existed a building boom that overpriced land, resulting in houses being being squashed together at the expense of play space for children. Had planners been more informed with forward thinking from a societal perspective, would it have been conceivable to put minimal requirements for play space and areas for children in built up suburban areas. If such thought processes were in place, would there be so much concern among parents about letting their children out to play; a genuine concern among many parents due to the speed of traffic on roads in such areas with minimal green space. In such an environment and with the growth of technology and children’s entertainment through social media and computers, occupational sitting time for young children has increased starkly in the past 15 years due to ease of access and reduction in cost. The huge increase in land and property prices in the mid noughties may also have had an indirect effect on the diets of our children. As house prices increased, it became more of a requirement to have both parents out at work to pay for mortgages and living costs. As a result, fast food became the norm with Chinese, Indian and fast food take away food shops springing up overnight often replacing what was previously a nutritious meal prepared by one of the parents. The major supermarkets even got in on the take away food concept and is now a huge part of their revenue generation with a full aisle often dedicated to high calorie ready made take away meals. Convenience was everything as nobody had time to look after the health of our youth. The net effect is that now, a cohort of teenagers cannot organise their own games as they never learned how to play in a group setting. How often do you drive through a housing estate and see children playing football, hurling, soccer or any sport for that matter on the green. It doesn’t happen, often because there is no green big enough to play on. So now as we count the cost of our Celtic tiger greed, it is rarely that we look at the deeper underlying issues we have caused, that without urgent attention, have contributed hugely to the obesity epidemic that will strangle our nation to early death.